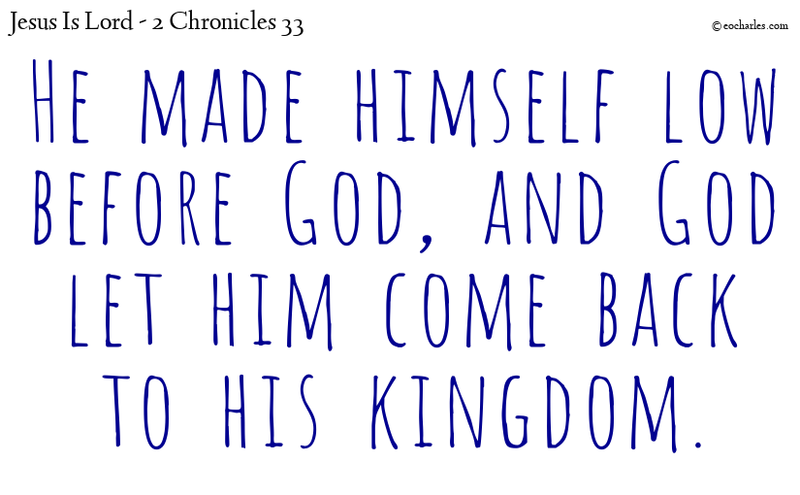 And made prayer to him; and in answer to his prayer God let him come back to Jerusalem and to his kingdom. Then Manasseh was certain that the Lord was God. God, Manasseh, Assyrian king, Amon, Josiah.